After a month and a half’s work, that include a complete frogging because I didn’t know how to purl correctly, the baby dress is complete. I believe this is one of the best things I have ever made. 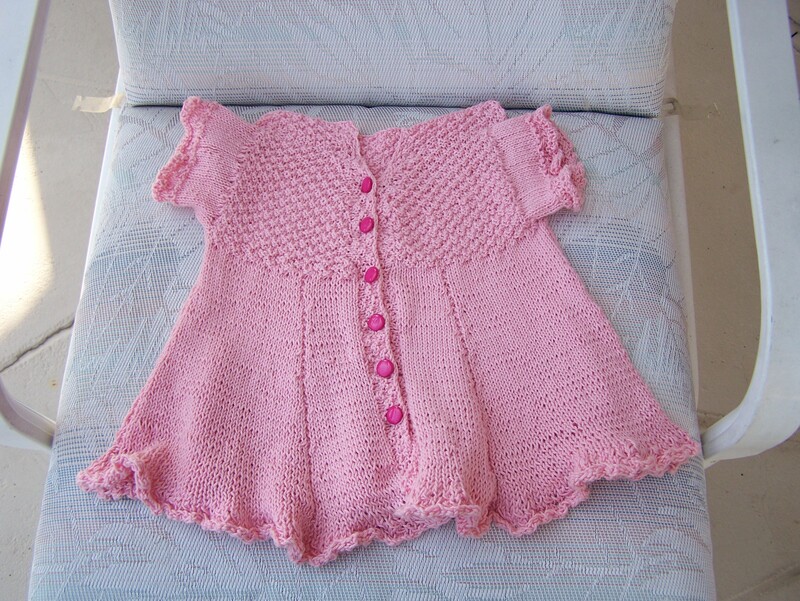 This pattern is named Baby Dress by Jo Lynne Murchland and I used Lyndon Hill yarn from Bristol Yarn Gallery. It took a little over 2 skeins to complete. The yarn is 85% cotton and 15% silk leaving the dress soft and perfect for hot summer days. It’s a great project for prospective mothers, aunts, grandmothers or just friend. I just wish that the few holes I made would disappear. I never seem to be able to finish a project without leaving at least one mistake visible. I guess it is part of learning. Happy Knitting.